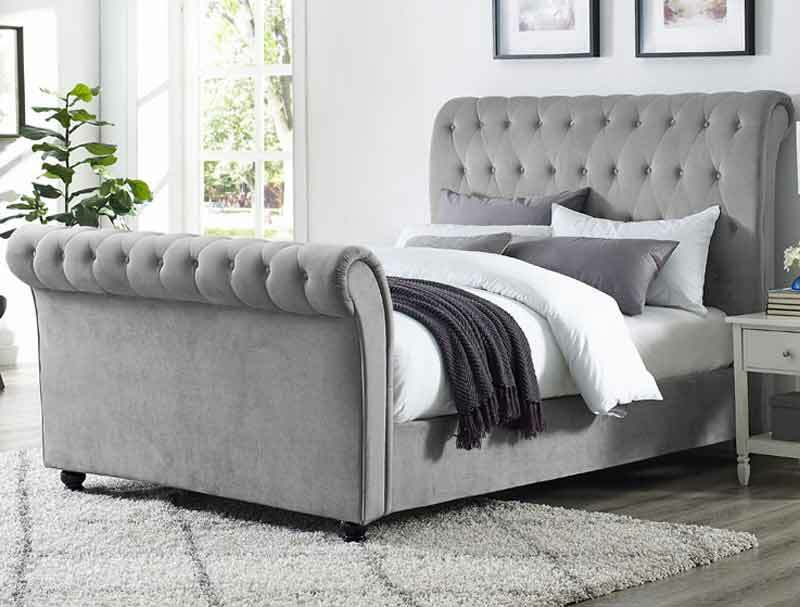 This is the new Bridget multi buttoned headboard and footboard upholstered side opening ottoman bed frame from Sweet Dreams. It is offered in a soft polyester fabric in plush grey colour. Both the headboard and footboard are buttoned and curve outwards so you will need a big room as the double bed frame is 45cm longer than the mattress. 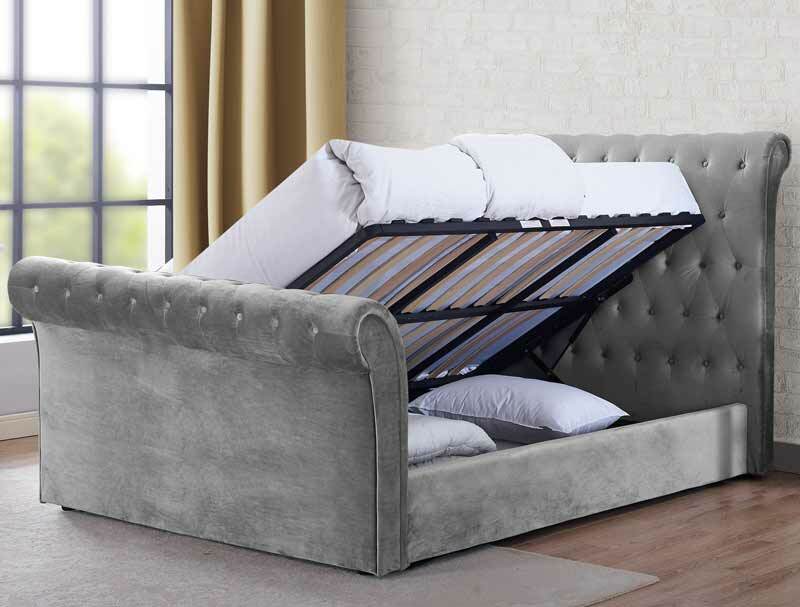 The base of the bed is a sprung slatted frame and benefits from having a centre support rail. As this is an ottoman base it can be made to open to the left or the right. The Bridget bed frame is also available as a standard bed frame. The bed frame is delivered flat packed for home self-assembly. This bed frame will be once into stock at end of November 2018. It will be delivered direct from Sweet Dreams via a courier in 5-7 days to most areas of England, Scotland and Wales free of charge. Please note some areas will incur a delivery charge, please see delivery info page and will take longer than 5-7 days.